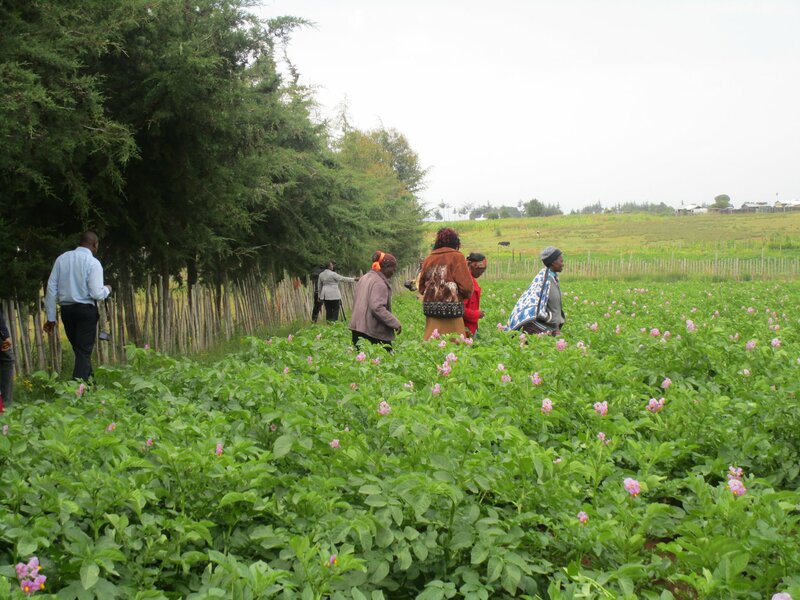 Potato farming is one of the value chains for the County Government of Nyeri under the leadership of Governor H.E Mutahi Kahiga. 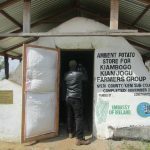 Kieni constituency being one of the areas where potato farming does very well has benefited from the provision of certified potato seeds that were supplied to farmer groups. 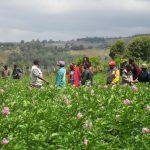 This was done through collaboration between the National Government and the County government of Nyeri where 18 tonnes of the certified seeds were purchased and supplied to 64 farmer groups for demonstration and seed bulking. 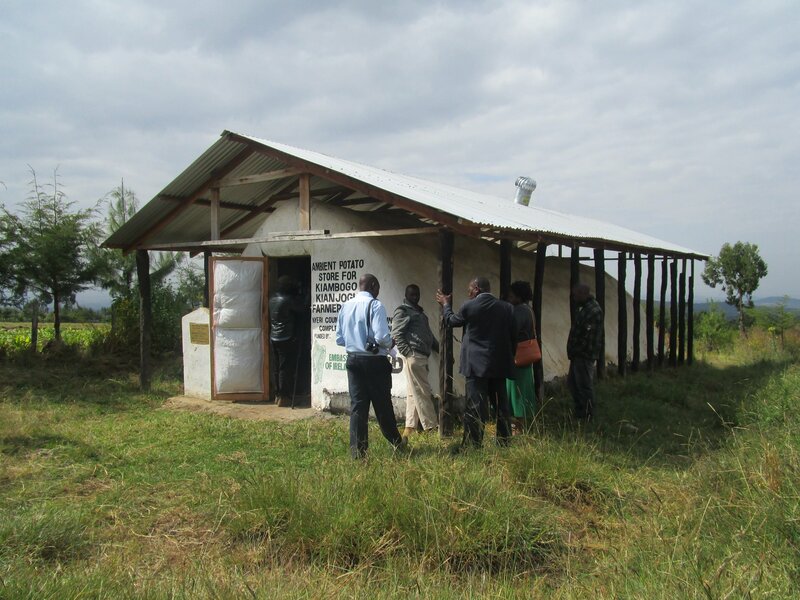 Kiambogo/Kianjogu Potato Commercial Village Group in Kieni West Sub county was one of the benefiting groups. 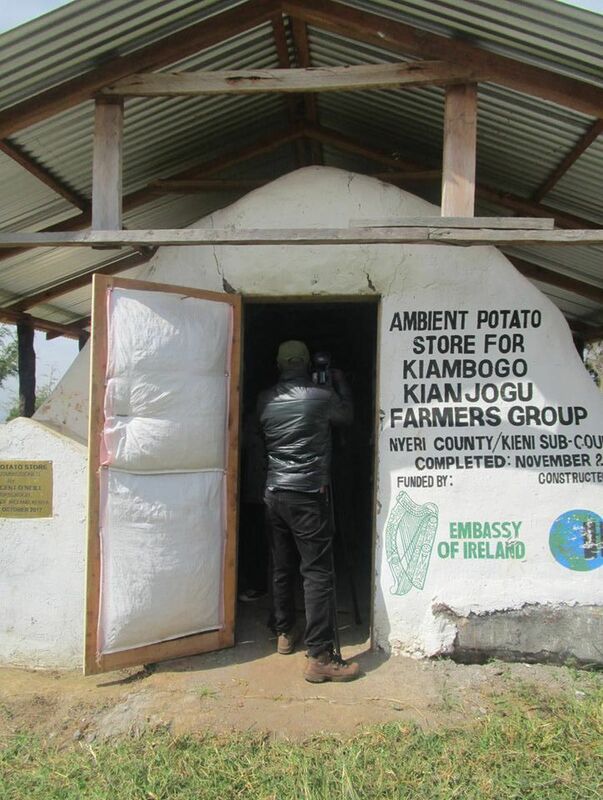 According to Mr. Paul Wambugu- production manager, the group was initiated back in 2014 with 25 members- now 70 and the main aim being potato farming, getting trained together, buy farm inputs in bulk and have bargaining power. 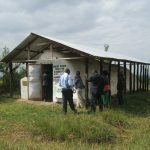 Before training by the County Government of Nyeri Agricultural Extension Officers, as individuals they would harvest 20-25 bags (110kgs) per acre but this has since changed after the trainings on proper farming practices of the crop, thus, some of the group members are now harvesting up to 120 bags (110kgs) each while majority are at 80 bags. 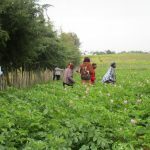 Potato farming in Kieni West Sub County mostly has two planting seasons although sometimes due to adverse weather conditions, the crop performance is poor. 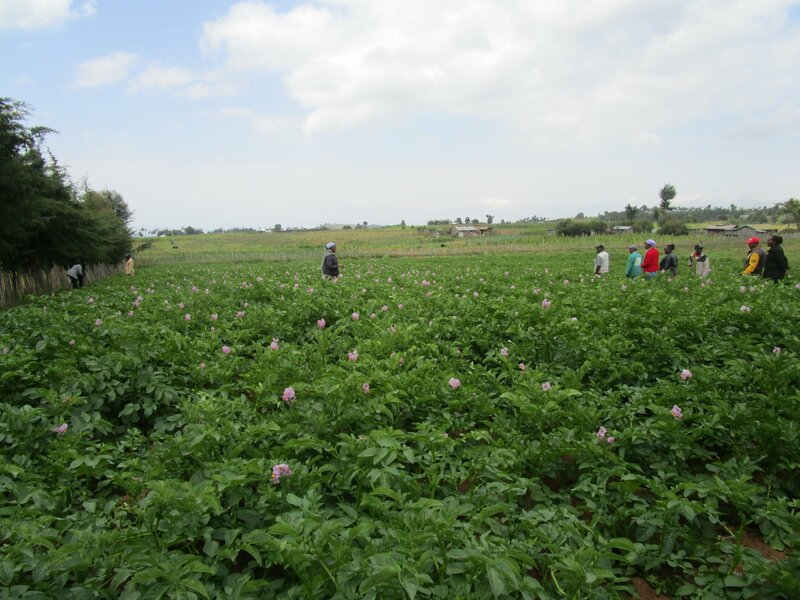 The group mostly plants the Shangi variety which is the most popular variety that controls about 70% of the market countrywide. 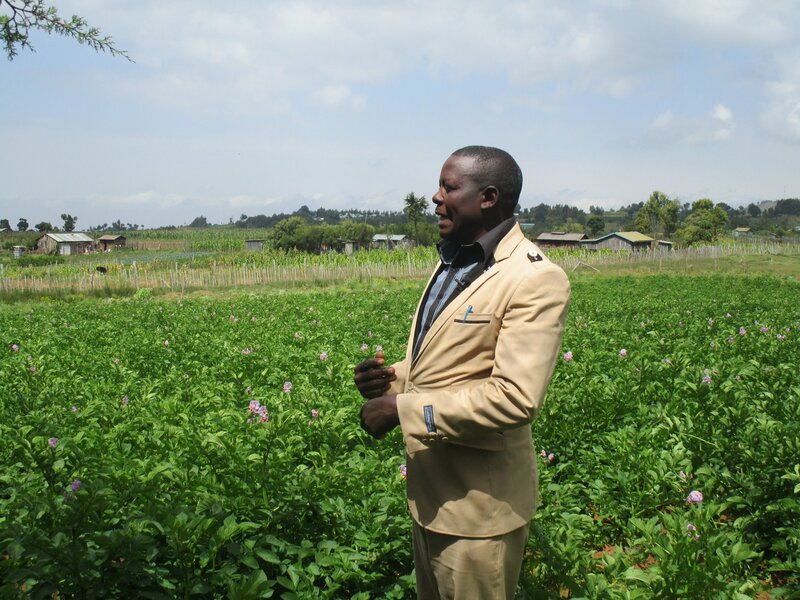 To plant, the farmer prepares the farm at least a month earlier so as to; allow time for soil clods to disintegrate/soften, for aeration and allow time for weeds to dry and decompose. 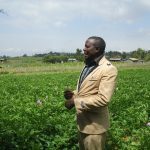 The farmer then prepares the furrows, adds manure and the fertilizer necessary as per the nutrients required by their soil, and then plants the egg size certified potato seed covering it with a thin layer of soil. 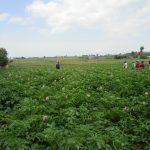 Proper spacing of between 30-40 cm is necessary so as to reduce nutrient competition of plants. 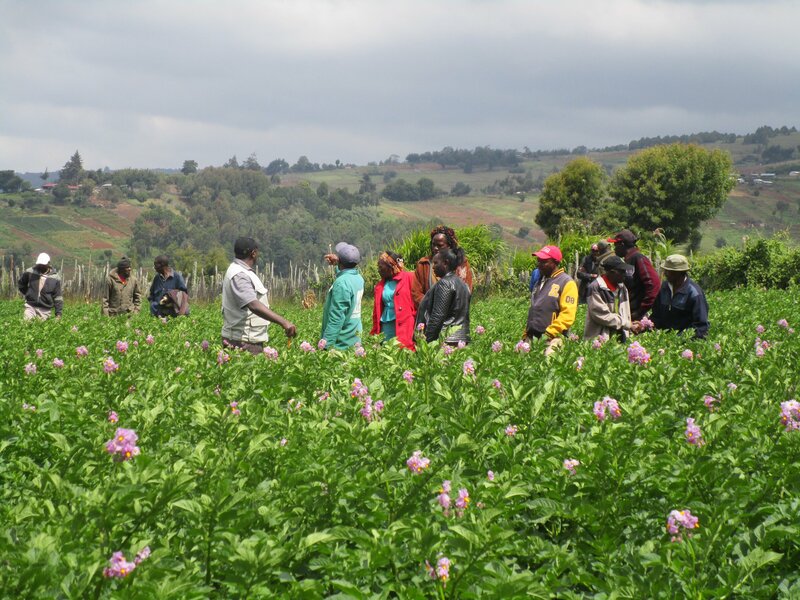 As soon as the seed germinates, the farmer starts pest and disease control.Weeding is mostly done manually.